What are the potential impacts of outdoor recreation on uncommon, discreet, solitude-seeking species like the wolverine? Recent media reports have been circulated about the conclusions of a study that sought out, in part, to answer the question. This is, in a way, an adventure story related to the research and a female wolverine nicknamed “Olive”. In early spring of 2013, this juvenile wolverine from the Boulder Mountains in Idaho abruptly disappeared. The Wolverine Winter Recreation Project had collared and bestowed her with a moniker. They had been monitoring her for several weeks when she vanished. When flights and cameras failed to pick her up anywhere in the Boulder or surrounding White Clouds, Sawtooths, or Smoky mountains, the project’s lead scientist, Dr. Kim Heinemeyer, accepted that she might never find out what had happened to Olive. Then, suddenly, a collared wolverine started showing up in camera trap photos at the project’s site near McCall, Idaho. Heinemeyer quickly got a crew to dig closed research traps out from beneath the spring snowpack, open, bait them, and capture the collared wolverine. Sure enough, it was Olive. She was more than 60 miles from her last known location. The data from her collar showed that while the project had been searching for her on the Sawtooth National Forest, she’d made her way north and occupied the abandoned territory of another of the study’s female wolverines, Lily. Lily had disappeared sometime between spring of 2012 and Olive’s arrival, and Olive had moved in and established the same exact boundaries that Lily had maintained. Documenting the successful dispersal of a juvenile wolverine, and the transition of a territory from an adult female to a successor would have been accomplishment enough, but Olive went on to produce kits a year later, another major milestone in the life of a wolverine. For the project, which was looking at the relationship between winter recreation and the wolverine population, it would offer data about how female wolverines responded to recreation during the crucial denning season, which lasts from February to May. 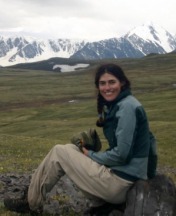 The area around McCall was heavily recreated by snowmobilers and skiers, so having a denning female in the area was an unexpected coup for the research. She stopped showing up at camera stations and traps. Her collar’s batteries ran out and the collar shut off. Had she died? Lost her kits and left? For a year, the project had no idea what happened to her. The next winter, she appeared on camera again. Her collar was hanging by a thread; the rot-away stitching that was supposed to allow her to shed the collar hadn’t worn through. Heinemeyer once again called an emergency trapping effort to retrieve the collar, but Olive eluded capture and the collar fell off somewhere in the wilds of the Payette National Forest. It was never found, so the data were never retrieved and the mystery of Olive’s second vanishing act was never solved. The gaps in Olive’s data illustrate why it can be so hard to reach conclusions about the management needs of a rare, wide-ranging animal like the wolverine. We cannot say that she left because of recreation, but we can’t say that she didn’t, either. The Wolverine Winter Recreation Project, which ran from 2009 to 2015 and encompassed wolverine habitat from the Payette National Forest to the Tetons in Greater Yellowstone, was one of the largest wolverine collar studies ever conducted in terms of the logistics, the number of animals collared, and the datasets generated. It produced probably the single largest dataset on motorized and non-motorized winter backcountry recreation in the U.S., with skiers and snowmobilers carrying GPS trackers to document 5899 adventures. Twenty-four wolverines also carried GPS collars, generating fixes every 20 minutes on weekends, when recreation activity was predicted to be high, and again at midweek, when recreation activity was predicted to be low. 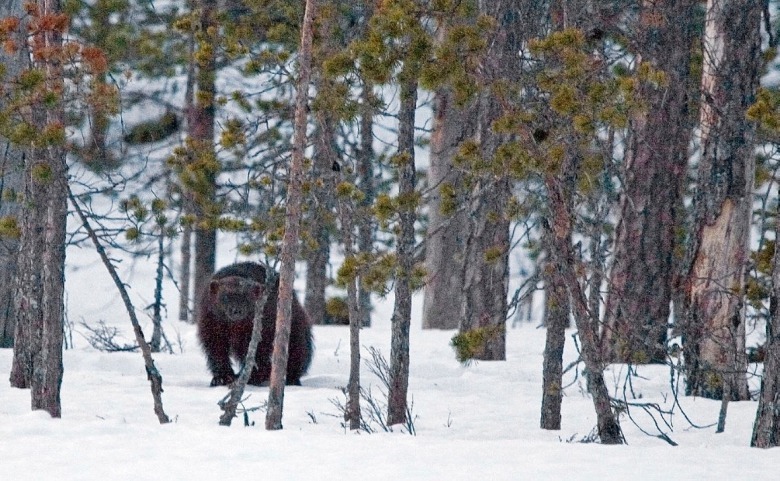 This extraordinary effort offers a complex picture of wolverine response to winter recreation. The results don’t provide a simple answer to the question of whether recreation harms wolverines, but rather illustrate where and how wolverines will feel the effects of recreation. One, that resident wolverines establish and maintain territories and reproduce in recreated habitat, including in heavily recreated regions like the Payette Forest. 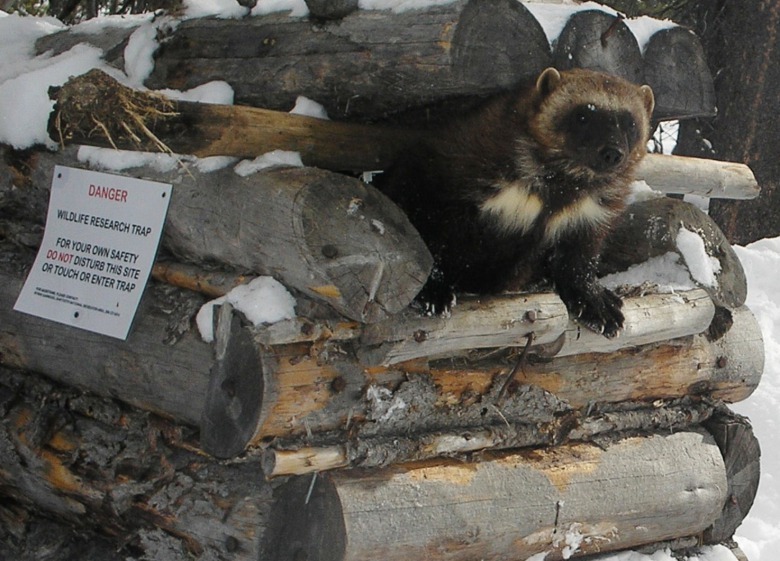 Two, that at the home range scale, wolverines avoid both motorized and non-motorized recreation. Three, that wolverines avoid recreation along roads, and also dispersed recreation, but that they most strongly avoid dispersed backcountry recreation – motorized and non-motorized alike. This suggests that wolverines are not so incredibly sensitive that a single, isolated encounter with a skier or snowmobile will traumatize them, yet it also suggests that recreation at a certain intensity will exclude a wolverine from portions of its own territory – potentially substantial portions. The study’s female wolverines avoided between 2% and 28.4% of their own territories due to recreation; the percentages could trend much higher looking at only the highest quality habitat within a territory (Olive avoided 24.5% of her entire territory, but 72% of the highest-quality habitat within her territory). Effectively, recreation in a wolverine’s territory reduces the quality of the habitat within that territory. The results also show that a wolverine will more strongly avoid recreation the more it is exposed. In a response that is the opposite of habituation, wolverines appear to become more wary of recreation the more they see of it. Higher levels of recreation therefore create a greater negative impact. Most recreated areas in the western US are used repeatedly by multiple people, which means that for a resident adult wolverine, there is no such thing as a single, isolated encounter with a skier or a snowmobiler. The study showed that wolverines’ tolerance of some levels of recreation may create a problematic sense of complacency because it fails to account for how wolverines are likely to respond to increasing exposure to recreation over time and across space. Almost all backcountry recreation in Montana, Idaho, and Wyoming occurs in wolverine habitat, and with the human population in the region growing, and snowpack declining in the face of global warming, more and more recreationists will likely be using the places wolverines depend on. A recent Canadian study (https://academic.oup.com/beheco/advance-article-abstract/doi/10.1093/beheco/arx182/4844878?redirectedFrom=fulltext) suggests that wolverines also avoid roads, and in the meta-population structure that we find among wolverines in the Rockies, development in valley bottoms that aren’t wolverine habitat could still impede connectivity among population nodes in different mountain ranges. A wolverine like Olive could face obstacles dispersing, and might also feel the impacts of increased recreation use once she establishes a territory. So even outside of the key issue of climate change, the looming impacts of human population growth are a real consideration for wolverines. It would be easy to panic at this point, and start pointing to an inevitable conflict in the making between recreationists and wildlife advocates. Misreading the science and wedging wolverines into preexisting agendas against recreation is not helpful. But neither is misreading the science in the other direction, to suggest that there’s nothing to worry about and that some tolerance of recreation indicates tolerance of all recreation at all levels. "It would be easy to panic at this point, and start pointing to an inevitable conflict in the making between recreationists and wildlife advocates. Misreading the science and wedging wolverines into preexisting agendas against recreation is not helpful. But neither is misreading the science in the other direction..."
Instead, the Wolverine Winter Recreation Project asks us to consider nuance and consider hard questions instead of reach for easy answers: what do we want for our ecosystem in the future, how do we get there, and are we willing to place limits on ourselves to protect our values? For her part, Kim Heinemeyer is hopeful. A fourth lesson that she draws from directing the Wolverine Winter Recreation Project is not about the data, but about the process. Back in 2008, the Idaho Snowmobile Association approached the wolverine research community to propose a study of recreation impacts. They wanted decision-making that was based on good science. Although snowmobilers are not traditionally associated with wildlife advocacy, their initiative launched the project, bringing together the Forest Service’s Rocky Mountain Research Station, five national forests, a national park, the non-profit research organization Round River Conservation Studies, dozens of local businesses who agreed to serve as collection points for recreationists’ GPS monitors and offered discounts to people in order to incentivize participation, and thousands of skiers and snowmobilers who got to own a data point in the study by documenting their routes. Heinemeyer, in her public presentations, highlights the ski tracks of one daring individual who skied Buck Peak in the Tetons – if that was you, congratulations, you’re immortal in the annals of science. This level of cooperation among stakeholders is notable in a field so often riven by conflict between different interest groups. It shows that there are common interests among skiers, snowmobilers, and wolverines, and that we all have a stake in the snow and the cold mountain ecosystem that supports wolverines and drives the winter recreation economy. Heinemeyer hopes that this insight will guide the next steps into further research and into whatever management discussions and decisions are made. 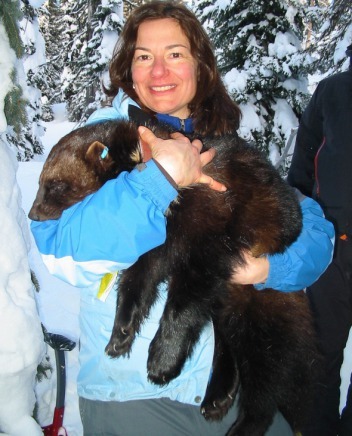 Besides the data on wolverines, Heinemeyer says, “What we discovered – and I don’t know why humans have to learn this again and again – is that diverse groups come up with better solutions to our problems. What we need is people who love the backcountry,” regardless of their background. It’s that investment in shared values that will be the key to keeping wolverines on the landscape in the future. 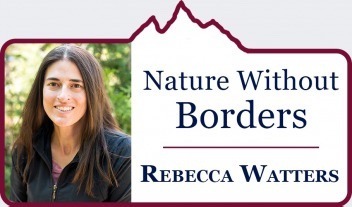 Rebecca Watters is a wildlife biologist, research associate with the Northern Rockies Conservation Cooperative in Jackson, Wyoming and executive director of The Wolverine Foundation based in Bozeman, Montana.